Thrust, drag, lift, and weight are forces that act upon all aircraft in flight. Understanding how these forces work and knowing how to control them with the use of power and flight controls are essential to flight. This chapter discusses the aerodynamics of flight—how design, weight, load factors, and gravity affect an aircraft during flight maneuvers. Thrust—the forward force produced by the powerplant/ propeller or rotor. It opposes or overcomes the force of drag. As a general rule, it acts parallel to the longitudinal axis. However, this is not always the case, as explained later. Figure 5-1. 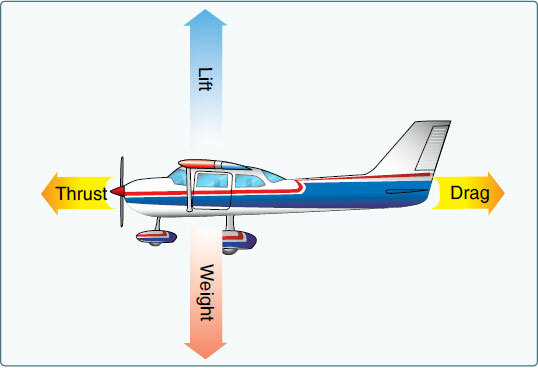 Relationship of forces acting on an aircraft. Figure 5-2. Force vectors during a stabilized climb. When the airspeed is low, the AOA must be relatively high if the balance between lift and weight is to be maintained. 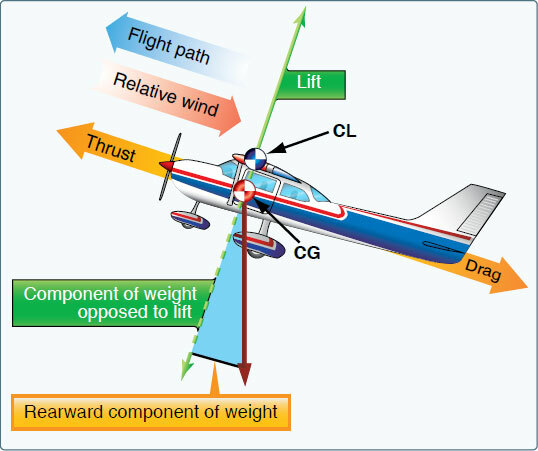 [Figure 5-3] If thrust decreases and airspeed decreases, lift will become less than weight and the aircraft will start to descend. To maintain level flight, the pilot can increase the AOA an amount that generates a lift force again equal to the weight of the aircraft. While the aircraft will be flying more slowly, it will still maintain level flight. The AOA is adjusted to maintain lift equal weight. The airspeed will naturally adjust until drag equals thrust and then maintain that airspeed (assumes the pilot is not trying to hold an exact speed). Figure 5-4. Some aircraft have the ability to change the direction of thrust.